At Solutions, you are in exclusive company. Our professional office space is totally dedicated to Therapists. 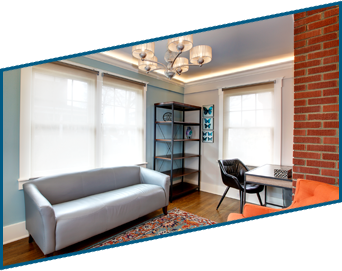 Custom designed for a peaceful, quiet environment and privacy without the worry of transient traffic flow. Both floors have separate, private entrance and exit ways with electronic locks, a waiting room, kitchen, and bathrooms as well as a carefully planned walk-through design. 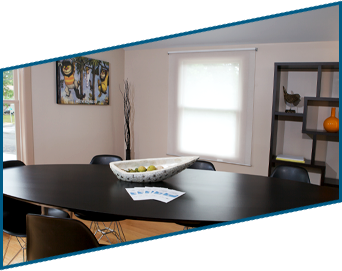 The First floor offices are handicapped accessible and include a handicapped bathroom. Everything you need to help your practice grow and flourish. 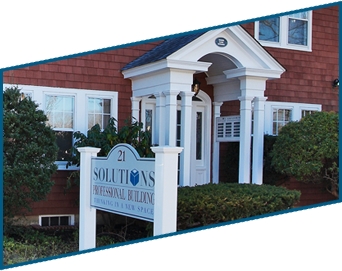 Solutions Professional Office Space provides an excellent opportunity for practicing or new clinicians to start a practice or get a satellite office with a minimal risk approach. Lease for one day a week, full week or anything in-between. Conceptualized by a Therapist for Health-Care Professionals. 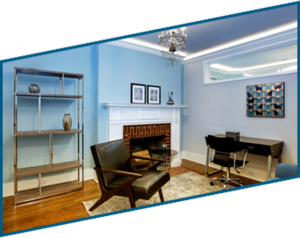 Solutions office space for Psychologists, Psychiatrists, Psychotherapists and Social Workers, as well as Art therapists or complementary and alternative medicine practitioners such as Chiropractors, Acupuncturists, and Massage Therapists, affords the perfect environment for your practice.